When I first started becoming a fan of professional cycle racing, I assumed that the pro teams had to pay for their bikes and kit. This was part of the reason they needed big budgets after all? But over the subsequent seasons, I started to learn that the opposite was true. These pro teams are given their bikes and kit for free in most cases, or if not, they are offered at vastly reduced cost. Which is great for the pro team, but what do the suppliers get out of the deal? Like in all walks of life, nothing is usually done really for free. Like age old, bartered contra deals, the ‘technical partners’ will expect something in return for their outlay. The obvious instant return is getting media exposure for their product and logo across the world. It’s partly the reason why pro cycling started in the first place – the riders are moving advertising billboards. However, if you’re a forward thinking and intelligent company you also become a ‘technical partner’ for another reason. It’s the long term goal of product and business development. After all if you want to test your product and gain valuable insight and feedback to improve the product, who better to ask than the people at the pinnacle of the sport and industry – the pro riders. They are at the extreme of the sport – riding and racing in excess of 20,000 kms a year (in the case of someone like Adam Hansen, who rides all three grand tours in a year, this mileage figure could be over 30,000 kms), pushing themselves and their equipment as far as it will go. They are at the far reaches of the sport, riding faster, higher and farther than us normal cyclists. They also crash a lot more. So pro riders are the ideal testing ground to see how your kit performs, how durable it is and if there are any areas for improvement. This is the arena where you will see prototypes that start all manner of media intrigue and online chatter. With Parentini’s constant strive to produce the best quality cycling garments, they became technical partners for the RusVelo UCI Pro Continental Squad, a Russian cycling development project based in Italy. They ride some of the toughest races in the world, rubbing shoulders with the pro peloton’s elite squads and riders. Their top sprinter is experienced 24 year old Roman Maikin, veteran of the Strade Bianche and the 2014 UCI World Road Champs. Roman obviously has a good understanding of what he needs from his cycling kit, and has also developed his own systems over the years with regard to his clothing. In particular, what to do with the vast amounts of kit he receives at the start of every season. “At the beginning of the season we receive 10 to 12 complete summer team kits. It is left up to us how to use them. I for one have got a simple strategy. I take two kits and rotate them for training, using each of them every other day until they start to look worn. As we’ve mentioned before, caring for your cycling clothing is paramount, and Roman is no exception. One thing that always intrigued me was whether the copious amounts of kit the pros receive at the beginning of the year had to last them the whole season. Apparently not. Pro cycling is at the cutting edge of equipment, so if you want to see what us lesser mortals will be riding or wearing in the years to come, you need to keep your eyes peeled closely on the pro peloton. 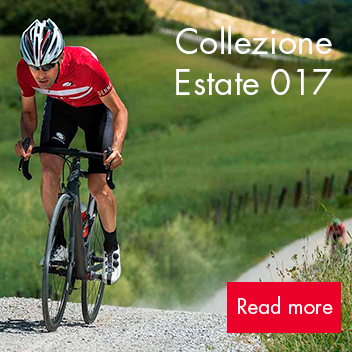 Roman and the rest of the RusVelo squad are lucky enough to ride in the latest innovations coming out of the minds of the Parentini designers, and it sounds like 2015 has been a good year for new kit. The RusVelo riders understand the symbiotic relationship with their technical partners. After all it means they get to use even better kit in the future, so it makes sense to really help with feedback. And, like all riders from all walks of life, we have our favourite bits of kit, the ones we always reach for. Roman is no exception. “My absolute favorite is the jersey: I love the look and the cut, it’s very light, aerodynamic and superbly ventilated; it’s also surprisingly hard wearing, heavy use doesn’t seem to spoil it’s looks”. Thanks for the insight, great read. these Pros really work hard need to be organized well. interesting to hear his method of keeping the kit.